“While studying Studio Art at the University of Texas, I mostly worked in printmaking which is made up of relief, serigraphy/screenprinting, intaglio, and making artist books. 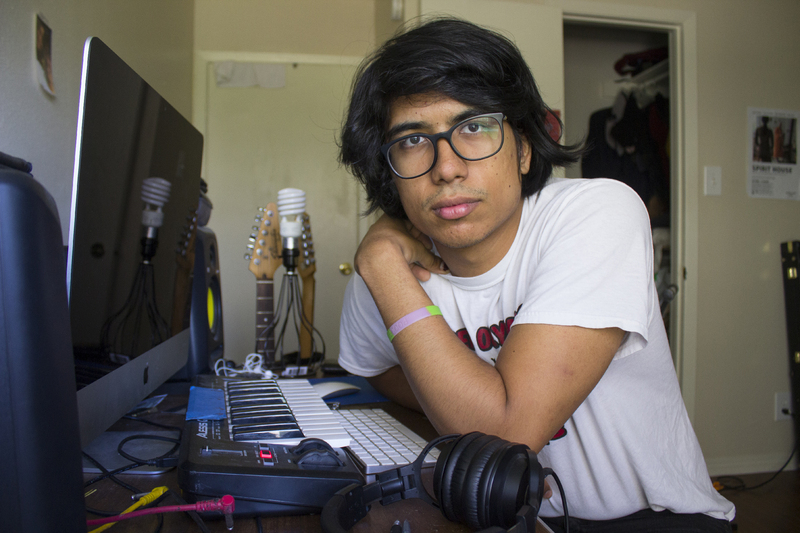 I made tons of work about my identity, my childhood, and how la frontera has shaped me. “In 2011, I moved to Austin for about three years. It was a sort of culture shock moving away to a city where there were so many types of cultures around and people who spoke many different languages. Even though there were many folks I got along with, I always missed home every day but most of all I missed everything that made Laredo and living on the border so unique. “Before having moved away from Laredo, I would deny my identity of being a Latinx of Mexican descent. I struggled with my identity and didn’t want to be associated with the terrible stereotypes that had always been placed on latin@s. But after being away for so long, I realized that I was different and that my culture did play a large role in my identity as a person. “Being from la frontera, we do things a little differently. We speak both English & Spanish at the same time, we pronounce things differently, and we even have our own kind of slang. We have our religions, our rosaries, our Virgen de Guadalupe, our food, our tacos, our piñatas, our Quinceañeras, our Dia de los Muertos, our calaveras, our sub-cultures of chol@s, tejan@s, chican@s, xicanxs, bruj@s, cuerander@s, and of course, our pride for both being American and being of Mexican descent. For more of their work check out their website and Instagram. Purchase prints and personal notebooks from their Etsy store here. Be sure to keep an eye out for March’s featured artist!